Scout's Honor rescues animals from city pounds, including animals from Houston's local animal shelters. Scout's Honor also takes in animals living on the streets. We do not limit our program to healthy animals or particular breeds, and we often save animals from abusive situations. Scout's Honor provides these beautiful creatures with a second chance to be placed in loving, permanent homes so that they can receive the love and attention they sorely deserve. Since our formation, Scout's Honor has rescued over 2,500 animals and currently has over 80 dogs and cats in our program! 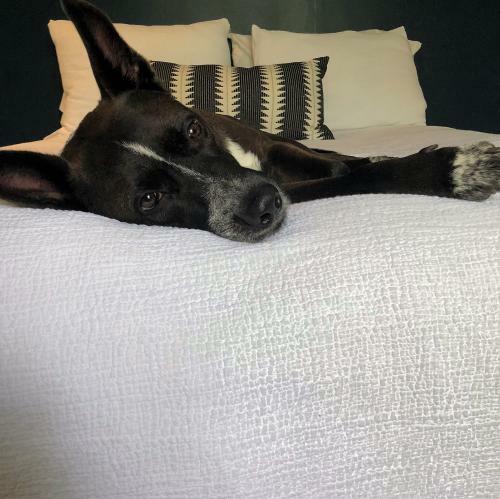 Scout's Honor's rescue program is "foster based"; that is, each of the animals we rescue is placed in a temporary foster home, where it receives much-needed love, care, and structure while it waits for its permanent home. We could not exist without our wonderful foster parents. If you are interested in becoming a foster parent or in learning more about fostering for Scout's Honor, please click on our "Fostering" link and read more! Unfortunately, Scout's Honor is unable to take in each animal about which we are contacted. We simply do not have enough money, fosters, or other necessary resources to help all the stray and neglected animals in the Houston area (and, believe us, there are an overwhelming number of needy animals in Houston!). Our ability to take in a dog or cat depends on our current funding, our volunteers, and whether we have an available foster home. Many times we are forced to close our intake when we run low on any of these. We never wish to turn away an animal in need, but sometimes we do not have the luxury to choose. If you wish to help us better our ability to help a needy animal, please click on our "Volunteering," "Fostering," and "Donate" pages and see how you can get involved! We have the most amazing dogs and cats in our program! Indeed, we are almost a "one-stop-shop" for any type of dog you might want. At any one time, we have all different types of breeds and mixed breeds—from small to large. And do not forget about our kitties! We have them from short haired to long haired (and any length of hair in between). Please click on our "Available Pets" link to browse through all of the animals in our program. You can find out more about our adoption policies and download an adoption application at our "Adoption Info" link. Please browse our wonderful dogs and cats and consider adopting one today! Thank you for considering adopting a rescued animal and for taking the time to view our website to see how you can get involved in helping Houston's homeless animals. They need you. Scout's Honor Rescue—Providing Courage, Character, and Compassion to Houston's Homeless Pets.